Norwegian language is the key to social integration and an entry into the job market for immigrants. 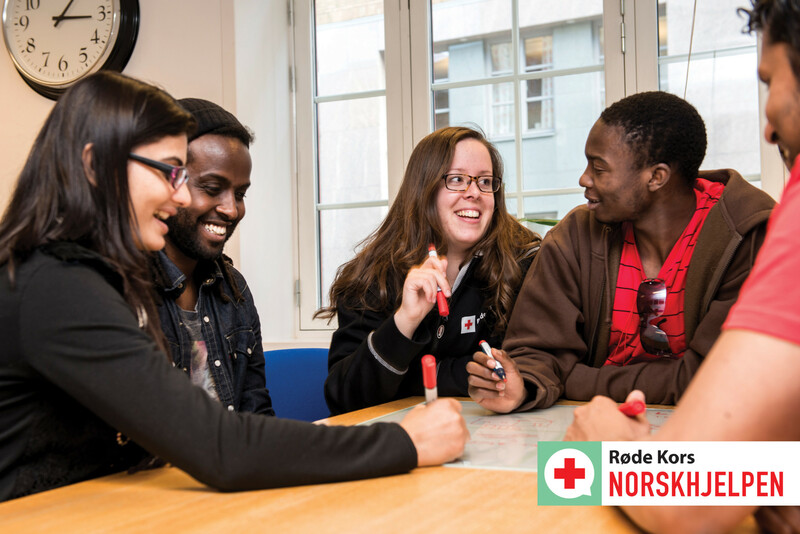 This is why the Red Cross offers an activity where immigrants can practice oral Norwegian in groups. 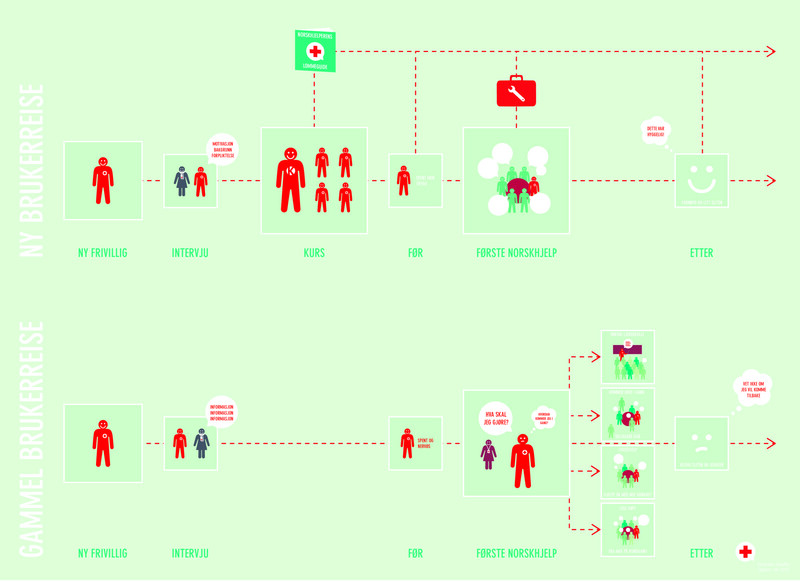 The activity is going through a lot of development and the challenge in this project became designing a holistic plan for a uniform language instruction facilitation system at Norskhjelpen. Without guidelines and training it has been up to the individual volunteer to figure out how the groups are to be facilitated. Great facilitation differences have arisen depending on the volunteers’ abilities and their motivation. The experiences for the participants are unpredictable, and vary from time to time depending on the volunteer leading the group. • An implementation plan: a plan to implement the Norskhjelpen method so that the right measures are done in the right order. • Norskhjelpen guidelines: a definition of what Norskhjelpen should be that gives guidelines for all further work. 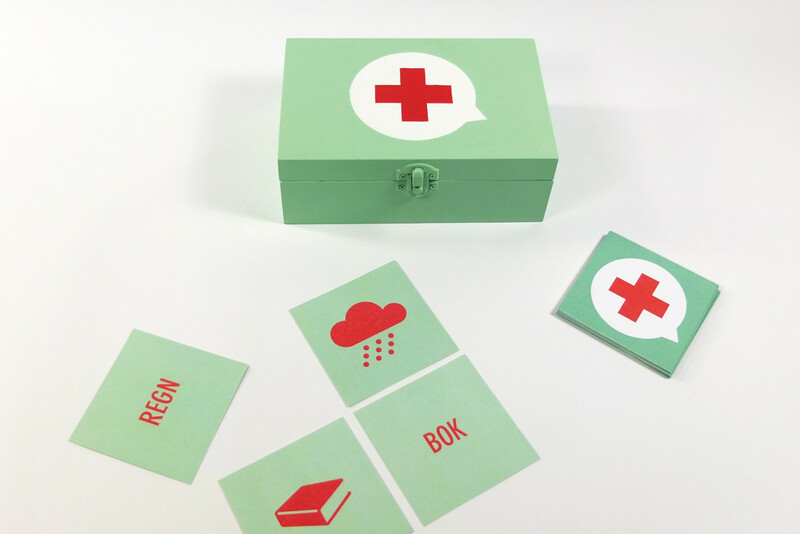 • A definition of the method: oral practice of Norwegian through simple exercises, games, drawing and role-play. The activity will be unique in offering an oral Norwegian training arena. 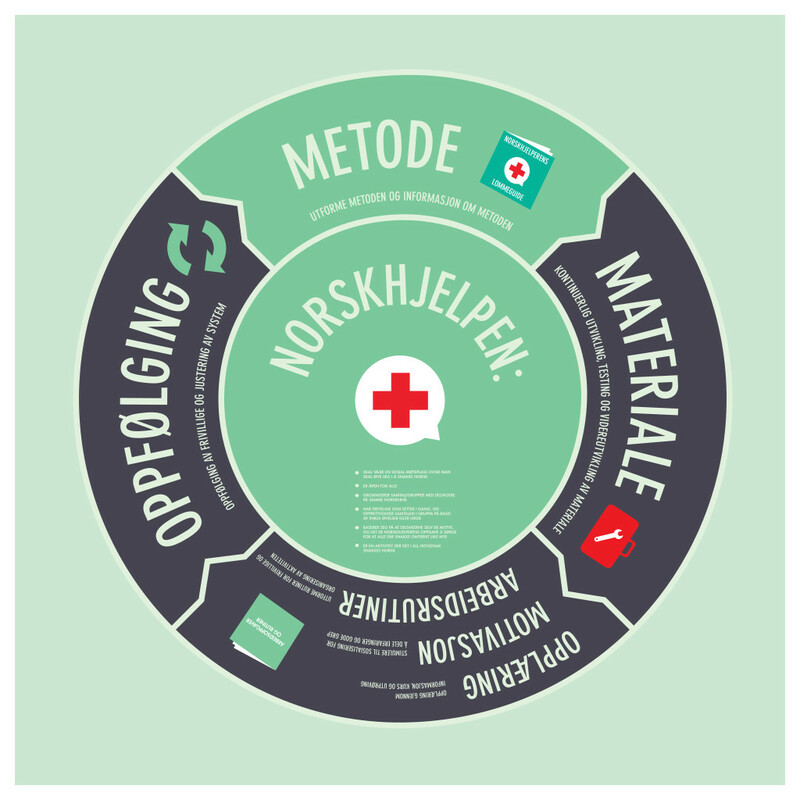 • Norskhjelpen volunteers’ pocket guide: A guide for new and existing volunteers about Norskhjelpen and the method as well as suggested activities. Norskhjelpen vant pris for Tjenestedesign ved utstillingen AHO WORKS 2013, utdelt av Making Waves.